WHEN this year’s lucky two millionth visitor walked through the gates at RHS Garden Wisley on Friday, she was greeted with a lovely surprise. 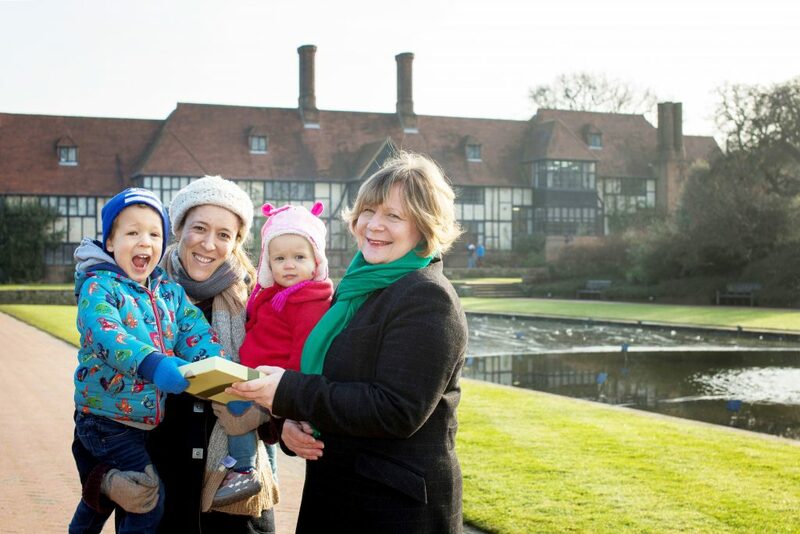 Jenny Paxman took her children, James and Anna, to the horticultural centre at around 10.30am and was handed a Lifetime Membership of the RHS to mark the auspicious occasion. Sally Charleton, Director of Customer & Commercial hands the two millionth visitor Jenny Paxman Life Membership of the RHS. In autumn 2015 the RHS launched its Vision, to enrich everyone’s life through plants and make the UK a greener and more beautiful place. The RHS aims to reach wider audiences and bring new experiences to people who may never have visited a beautiful garden or horticultural show before.